How to change passenger's name in IRCTC ticket? The travel on the Indian railway has always been a bit harrowing, owing to the non-flexibility of its rule and systems. And of all the things, changing the name on a passenger ticket is the one that proves most challenging. But you can indeed change the passenger’s name and this can be done by approaching a railway reservation office. 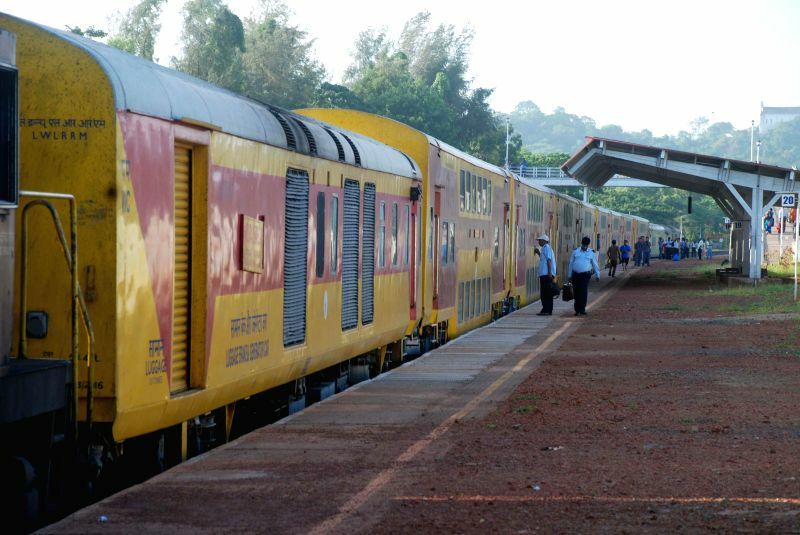 Konkan Railway Double-Decker train at the Karmali Railway Station in Goa. 1. The passenger’s name can be changed if a request is submitted by the passenger at the railways reservation offices. The request should be submitted in writing. 2. The request should be submitted 24 hours before the scheduled departure of the train. 3. IRCTC has now opened facility to transfer e-tickets as well!! But the transfer is restricted to any member of the passenger's family only - father, mother, brother, sister, son, daughter, husband or wife. 4. For this, the passenger should bring a print out of the 'electronic reservation slip' along with an original photo ID card and a proof for blood relation with the passenger to whose name the ticket is to be transferred. Also, as far as a government servant is concerned there is yet another relaxation. 5. IRCTC allows such government officials proceeding on duty and appropriate authority, to make a request for change in passenger's name, in writing, 24 hours before the scheduled departure of the train. However, such request can be granted only once. All these are as per extant Railway rules, according to IRCTC's official website -- irctc.co.in. IRCTC or Indian Railway Catering and Tourism Operation as you know is the e-ticketing arm of the Indian Railways.